Kristen graduated from The Ohio State University (OSU) School of Public Health with a Master’s in Public Health and an emphasis in Health Behavior/Health Promotion. Prior to her studies, Kristen was a member of the Peace Corps in Ecuador so her fluency in Spanish and love of international work obviously led her to a specialization in Global Health. She lived in Guatemala to do her practicum and loved every minute. During one of her final weeks of grad school, Kristen helped man a Peace Corps booth at a career fair at OSU. While she was there, she met a woman named Erika Castro who urged her to interview for the In-Country Director position at Montaña de Luz in Honduras, an organization that cares for orphaned or homeless children with HIV/AIDS. Kristen wasn’t sure about the job initially but decided to interview anyway. Three weeks later, she was hired and making plans to move her life to Central America yet again. Her time in Honduras began as very isolated, lonely, and demanding. She arrived at Montaña de Luz to find thirty staff members, several international volunteers, and a home of roughly thirty-five children with HIV/AIDS all waiting for her leadership. This position in the past had been very transitory, so Kristen’s challenge was to create continuity and organization. She admits that she considered jumping ship because of how demanding her work was, but she made the decision to stick it out. She’s glad she did. Kristen spent the first six months of her three year stay heavily involved in management and administration as she worked to make sure the organization was functioning. During her final year when things were finally running smoothly, Kristen was able to focus more on her passion: public health promotion. 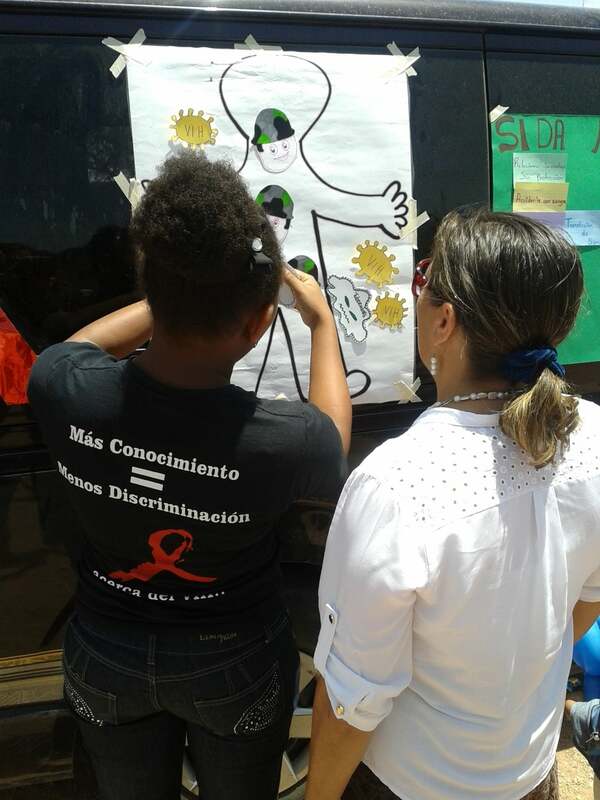 She organized a campaign to educate the local community about HIV/AIDS. Her team included the nurse on site, a social worker, a physician’s assistant from the United States, and thirteen youth from the home. The campaign is still running today. Kristen has since returned to the United States and is currently working for Children International as a Health/Nutrition Program Officer. Children International is a child sponsorship organization that invests in individual children to help build stronger communities. She is happy that she started her career with such practical field experience in Honduras and now will be able to learn as an administrator with Children International. Kristen is constantly using her MPH in her current job and is grateful that her organization is helping her to stay up-to-date and connected. She is currently taking an online course through MEASURE Evaluation, a USAID funded program with online training for public health workers. Kristen is also excited to start traveling to the field (to places such as India, Kenya, Ecuador, and the Philippines) to support on-site staff. Kristen felt lucky that her opportunity in Honduras literally landed in her lap. She admits that finding her current job was less of a cake walk, but says that she learned so much from the process. She started applying for jobs while she was still working in Honduras and relied heavily on Internet employment sites. She eventually realized that she wasn’t getting anywhere with this, so she started reaching out to her network. Kristen was pleasantly surprised at how willing her contacts were to share information and help her expand her network. She eventually did find her current job through an online resource, but she feels that the effort she made to reach out to her network was invaluable. She gained precious insight into what other people are doing in her field and gained a needed boost in confidence despite the challenge of a long job search. Kristen realized again that in public health as well as in life, people and relationships are everything. Questions for Kristen? Click here.